After a very long first reading from Revelations which is full of dire warnings of the end times, the gospel, which is taken from Luke, seems rather mild and timid and thankfully shorter. However, it also carries a very serious message about being able to read the signs of the times. Jesus says that when we see trees in bud we know summer is near. Referring to the predictions he spoke of earlier in the chapter, Jesus tells his followers to look at what is going on around them and to understand from these things what is happening. How can we apply this to our own lives? God is always talking to us, telling us what he wants us to do and what is best for us. It may be an e mail from a friend or a call in our heart to spend more time in prayer. But there are other more obvious signs that we tend to ignore: since I hit sixty, it is not hard for me to understand that I need to be doing more reflecting on life and how I have lived and what amends I need to make. There are so many ways that God uses to show us that we need to be thinking a bit more deeply about life. Even the sickness of a friend should cause us to realize that someday these things are going to happen to us as well. I often wonder why we never seem to learn. Getting older does not cause us to pause, others dying in our age group and sickness in our friends appears to bring up that feeling that it is never going to happen to me. A wonderful species, we are, so intelligent and so slow to learn! This is a very ancient feast in the church and it commemorates the day on which Our Lady dedicated herself to God in the Temple. In the year 543AD a church in honour of Mary was built near the Temple site in Jerusalem and from that time this feast has been celebrated in both the Eastern and Western churches. There is an interesting reading given for today in the Office of Readings for the feast; it is taken from a sermon of St Augustine which was obviously delivered on this day. In it Augustine says that Mary is more blessed by being a disciple of Jesus than by being his mother. This is because Jesus alone is the head of the church and we are all members. There is only one head of the Church and of all people in the Church Mary is the highest. For us then, we should appreciate the gift of being allowed to be members of a Church that has Jesus as head and Mary as a member. I don’t stop often enough and think of the honour that God has given to us. Here we have one of those readings that smart people argue over. The gospel of Luke was written some years after the fall of Jerusalem and in this passage Jesus foretells the destruction of the city. Some say that Luke looked on Jesus and imagined that this is what he would have said. How many times in our life do we come away from a situation having done nothing and then later seen that there was an opportunity to do something? We are always falling short of the glory of God, in our relationships and in our actions. Thankfully God also teaches us not to be too hard on ourselves and gives us plenty of chances to make up for mistakes of the past. Jesus also says that it is a pity that the Jews did not understand his message of peace. Perhaps this is a reference to their awaiting the great messiah who was going to through off the yoke of Rome and restore Israel’s glory. We also have that tendency when it comes to God: we are often waiting on him to do the big thing, the grand entrance or the wonderful miracle in our life that shall fix everything once and for all. Unfortunately it does not work like that. We are called to a life of constant effort and vigilance, a life in which we can never take our eyes off the goal which is eternal life. The message today, that we so often miss what is going on right in front of our eyes, is still very valid. Lord, help us to see! In today’s gospel we have that story which often leads us to feel a little guilty; the parable of the talents. The man is going off to be made king and he calls his servants and gives them a sum of money each. Telling them to trade with it, he heads off and much later returns to settle the account. One man has made a profit of ten talents, another five, but the last has hid the money in the ground and now gives the king back his one talent. There is something in this parable that often makes people feel that they have not done their best in life, that somehow they have only contributed the irreducible minimum to the world. That is one of the problems of Christian life, we always know that we could have done better. The whole dynamic of life is the margin between what a person is and what a person could be; this is the struggle of the Christian to try to narrow the gap between how we live and what we are called to be. We know in our heart, and we don’t need a parable to remind us, when we are being charitable or judgmental, honest or dishonest. All of us have a conscience and this lets us know at every point what our behaviour is really like. Perhaps if we began to listen to the conscience then we would not have as much bother with this parable! We are into the last two weeks of the Church year. The readings are beginning to focus on death, judgement and the coming of Jesus at the end of time. There are many from the Book of Revelations that are hard to understand and for which you will find loads of different interpretations when you look them up. It appears to me that everyone interprets them differently. For me, I just like to listen and see what comes to me. Today I have to read at Mass so as I rehearsed the first reading here at home, I read about Jesus saying that he would rather we were either hot or cold but that since we are lukewarm he will spit us out of his mouth. There are so many people who are indifferent, who simply don’t care one way or the other. They call themselves Christian but at the first sign of effort or difficulty they are away like a shot. Jesus spoke about them in the parable of the sower, the seed that fell on stony ground. But before we get too judgemental, we should think about those injustices in our own lives that we don’t really pay attention too: the friends we don’t visit, the calls to family members we don’t make and the people we know who are sick and we don’t support. Perhaps we see friends and neighbours going without and we have extra but don’t help. There are so many ways in which we are indifferent ourselves. The only hope is that we don’t be indifferent with those with whom we are in direct contact, the ones we meet today. If we treat them well and with respect then we shall make a difference to the world. St Lawrence was of Irish royal stock: his father was chief of Hy Murray, and his mother one of the Clan O'Byrne. At the age of ten he was taken as a hostage by Dermot McMurrogh, King of Leinster. In 1140 the boy obtained permission to enter the monastic school of Glendalough. Glendalough is one of the most famous monastic sites in Ireland and its setting in the Wicklow Mountains is something that has to be seen to be believed. This early Christian monastic settlement was founded by St. Kevin in the 6th century and from this developed the “Monastic City”. If ever you make it to Ireland be sure to pay a visit. It is only about an hour south of Dublin, but even though it is close to city, because of its mountain location it seems to be in a different world. Lawrence is important in Irish church history for a variety of reasons. The first is that after the invasions of the Vikings in the eighth century and the Normans in the eleventh century, Lawrence was the first native Irish Archbishop of Dublin for several hundred years. The second reason he was important was that after the Synod of Kells in 1152 when important reforms were to be made to the church structure in Ireland it fell to Lawrence to implement them. 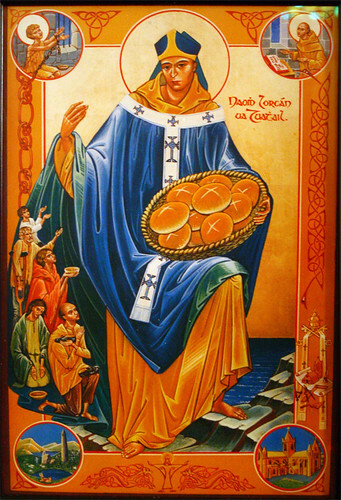 The third reason Lawrence is important is that for many years, right up to the 2nd half of the last century, Lawrence was the only saint in Ireland to be canonized officially by the church. All the rest were proclaimed by the people. The ‘Isle of Saints and Scholars,’ as is typical of the Irish and their lax attitude to law, just made their own saints when the official church would not do so. But it is nice, when you go to the cathedral in Dublin and look at the list of archbishops, to see a real Irish name as archbishop, after all the foreign names. 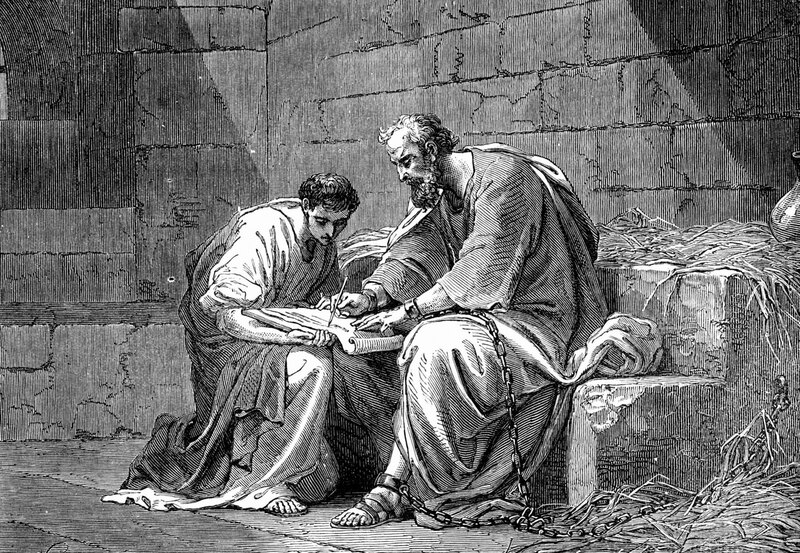 It appears that a slave belonging to Philemon has somehow escaped and ended up in the company of Paul. 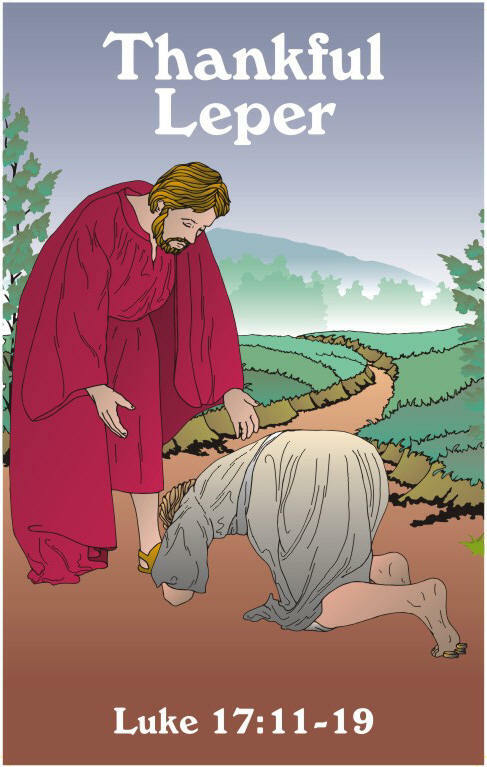 The slave’s name is Onesimus and he has become a Christian and is now helping Paul in his mission work. Paul is in prison, old and facing death. He is sending Onesimus back to his master and is reminding Philemon, who is also a Christian, that he has a duty to treat Onesimus as a brother in Christ rather than a slave. Paul goes further and says that he shall accept liability for anything owed by Onesimus to Philemon. The Christian life changes relationships: there is no longer slave and master but brothers in Christ. We notice this most at the Mass where people of all classes sit together in prayer: there are no rich and poor, just sinners seeking God. 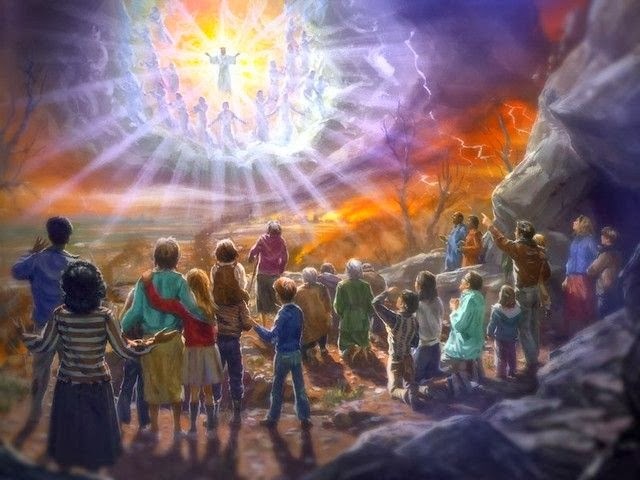 It is interesting how once we become aware that we are all children of God and under his guidance and protection then we can never see others in the same way again. If we are all prone to ignorance of God and his law as we were before we met Jesus then surely we have to make allowances for those people who have still not met God. The changing of relationships is what marks out the Christian life. Those whom we know have resentment towards us, we can forgive, and this new understanding of life and God reflects in so many aspects of our lives. When we can see, as Paul saw in the relationship of Philemon and Onesimus, that all people are equal and in need of God’s help, then we are on the right path towards peace in our heart with our neighbour. In the gospel today we have the familiar story of the ten lepers who are cured by God but only one of them came back to thank him. Luke was writing this parable, as he wrote his gospel, for people who had been converted from being a gentile to the new Christian faith. In the story Luke emphasises that the one man who came back to thank Jesus was a Samaritan. This was an important detail for two reasons. First, it showed that the message and healing of Jesus was for everyone. Second, the Jews hated Samaritans and yet Jesus, a Jew, was willing to love and befriend everyone, regardless of race and creed. We are often a bit like the ten lepers; when we are in a wee bit of trouble we pray to God to get us out of it, promising all sorts of conversion and goodness from then on. Then when the crisis passes we are quick to forget promises made. This is not new. Even at the time of the writing of the psalms the writer could say, ‘I will keep my vows to the Lord,’ implying that others, and probably himself, had not kept their vows in the past. But every now and then we do go back and thank Jesus. We go to the chapel and kneel down and thank God for services rendered or we pause for a moment and reflect of how good God is to us. These are valuable times, moments of humility and grace. Perhaps we should nurture them and carry them out more often! Today’s gospel is one of those gospels that causes people a bit of difficulty because in it the Lord appears to praise a man for being dishonest. We all know the piece as the ‘Parable of the Crafty Steward.’ The steward is being made redundant and he decides to win favour with other suppliers by giving generous discounts on their bills. It is one of those stories for which we really need to understand the way business was carried out in the past. Essentially the stewards were self-employed and made their living by charging a commission. This steward was giving up his commission to win friends. When you begin to think of it like that then the actions of the steward are not all that reprehensible even by today’s standards. It made me ask myself a question; is the way that I am living today providing for my eternal future or am I more focused on immediate satisfaction? An interesting question and certainly a different way of looking at the events of everyday life. The two readings today show opposite sides of the coin. In the first reading Paul gives his ‘Christology,’ his understanding of who Jesus is. Paul begins by saying that Jesus’ state was divine but in humility he chose to become man and let alone that he chose to accept death, even death on the cross. All of this was to carry out the Father’s will. In the gospel Luke tells us of the man who has prepared a great feast and when the time came for the feast all the people he had invited began to make excuses about why they could not come. They had a different attitude to God’s kingdom: they thought that the work of God would interfere with their plans and ambitions. They had all sorts of what we would call reasonable excuses. We know the story and we know that Jesus is making an allusion to heaven and the people of Israel who were the first to be invited in and who did not want the kingdom preferring the world. And yet the reading still makes us feel that wee bit uncomfortable. There is something in it that hits home and makes us feel uneasy. Perhaps it is the feeling that we all share that somehow we are not really doing enough. Or perhaps it is the knowledge that we want God’s kingdom and his life on our terms and not his. Such feelings, which we all have and which we all know fall short of what is expected of the Christian, are in us all.